Whether you’re running a two-person startup or leading a large team dotted across the globe, the Internet Service Provider (ISP) you choose has a huge impact on your business success. You need a provider who offers customizable solutions based on your business needs. Whether that's providing enough bandwidth to support multiple users simultaneously or running applications without a glitch, the Internet service you select needs to fit your company—not the other way around. Not all business Internet providers are created equal. There's cable, DSL, and fiber connectivity to consider, plus each provider offers different business Internet packages to choose from. While Internet service monoliths like Comcast may be an obvious choice to some people, many in business are seeking to find better alternatives. The reasons vary, but if you’re one of these businesses, this article will attempt to answer some of the most common questions regarding alternatives to Comcast Business Internet. What are the Best Alternatives to Comcast? Once you have a clearer understanding of the different parameters to consider when shopping for the best provider, it's easier to figure out the right Comcast alternative for your business. After all, what’s best for a startup may not meet a large organization's needs. What are your existing bandwidth requirements? Are you anticipating an increase in bandwidth needs soon? Is point-to-point connectivity a must-have for you business? Do you need to connect multiple locations? Many businesses have a vague idea of the level of bandwidth they truly need. The aforementioned questions are good starting points if you’re still unsure about the level of bandwidth your business requires. 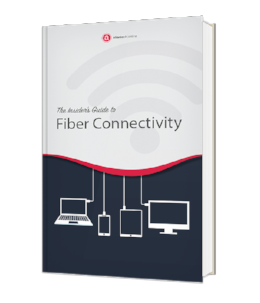 To help figure out your bandwidth needs, check out this detailed guide that we’ve specifically written to help you. Are you one of those Comcast Business Internet users who's operating on a "fast but still unreliable" connection? Or are you in the "slow yet stable" connection camp? Ideally, reliability and bandwidth should go hand in hand. Yet, not every business gets to enjoy the same luxury. When looking for a Comcast alternative, reevaluate your upload and download speed requirements as well as the number of users (and their online activities) that will be connected simultaneously. Subsequently, seek a supplier that meets both your bandwidth and reliability requirements at the same time. Calling customer support because the Internet’s down and you’re in the middle of running your critical business operations wastes valuable time. Poorly trained customer support representatives and limited support hours can make the matter worse. For most organizations, fantastic customer support is worth the extra cost. Besides 24/7/365 support, look for a provider with expert staff that is also warm and empathetic. Consider Internet outages. A 5-minute downtime may not be a problem for some business but it can mean significant profit loss for others—not to mention the loss of customer trust. Evaluating the layers of redundancy your business needs is one of the key specifications to consider when thinking about looking for Comcast alternatives. Another consideration when switching providers is the likelihood that your business will expand in the next few months. As your organization grows, you need a supplier who can grow with your evolving business demands so you can scale appropriately and with fewer growing pains. For instance, consider finding a new business Internet provider who can also help cater to your company’s data management and colocation needs. Once you’ve identified your business Internet needs, pinning down the best alternatives to Comcast is next on your list. We've compiled an overview of your top 5 options below. As one of the largest providers of fiber-optic Internet, Verizon FiOS boasts of their equally fast upload and download speeds to help run your business as smoothly as possible. Verizon business Internet speeds can range from 75Mbps to 500Mbps. They also offer FiOS with a comprehensive phone plan as a bundle. You can choose from RCN Business Internet’s 5 speed tiers, ranging from 25 Mbps to 330 Mbps, to help your business maximize efficiency and productivity. In addition, you can opt for additional features such as static IP addresses, wireless router, and firewall protection. Global Capacity’s business Internet is popular for its broad range of tier options, ranging from 1 Mbps to 10 Gbps. They don't have the same personalized touch that other providers offer, but Global Capacity is considered one of the best and most distinguished providers, mainly because of their acquisition of Covad/Megapath. Based in the Washington DC Metro Area and serving businesses along the Mid-Atlantic and Northeast Corridor, Allied Telecom’s Dedicated Internet Access (DIA) has a wide range of access speeds, as well as a variety of fiber and copper-based transport options and fixed wireless. As a provider of data, voice, and hosting solutions for businesses nationwide, Atlantech Online is one of the best alternatives to Comcast. Of course, we may be a bit biased, but hear us out. We have the same vast infrastructure provided by nationwide giants combined with the superior level of transparency, personal attention, and accountability that local providers offer. Although Comcast, Verizon FiOS, and other vendors may be working to extend their nationwide coverage, they don’t provide the extensive options available in many areas like Atlantech does. 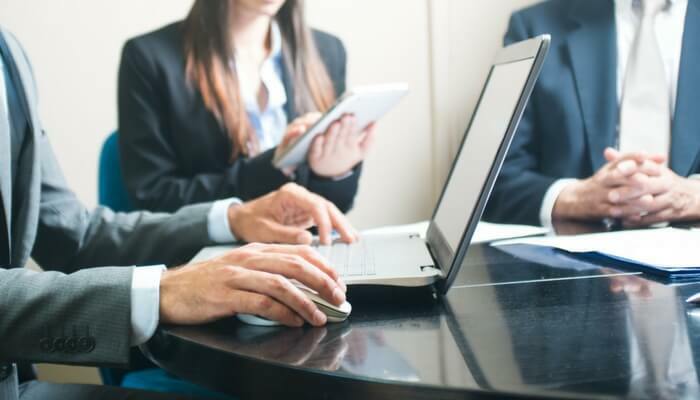 Whether you are in an on-net or off-net site for your business, our connections can be used for Internet connectivity and for business phone services delivered via a Class 5 voice switch in our Internet Data Center. Sure, you can type in “best alternatives to Comcast for business Internet” in Google Search but in the end, it boils down to what’s best for your business. When going over your options, always ask a lot of questions. Be sure to inquire about rate quotes, service level agreements, and billing practices. Also, it's best to drill down a provider's approach to redundancy and troubleshooting support to get to know them better. The Atlantech Online crew is always ready to answer your questions and help you identify your specific business Internet needs. Get all the information you need to make the smartest decision for your business’ internet.